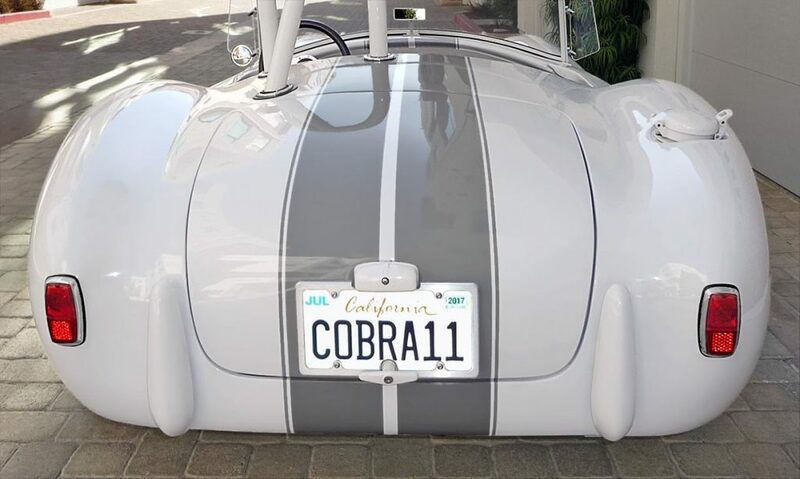 1989 Shell Valley 427SC Cobra replica, strikingly finished in Arctic White/Dove Grey LeMans stripes. Registered under the coveted SB100 [California Senate Bill 100]. hassles for the life of the car! This serpent is Canada import–qualified. 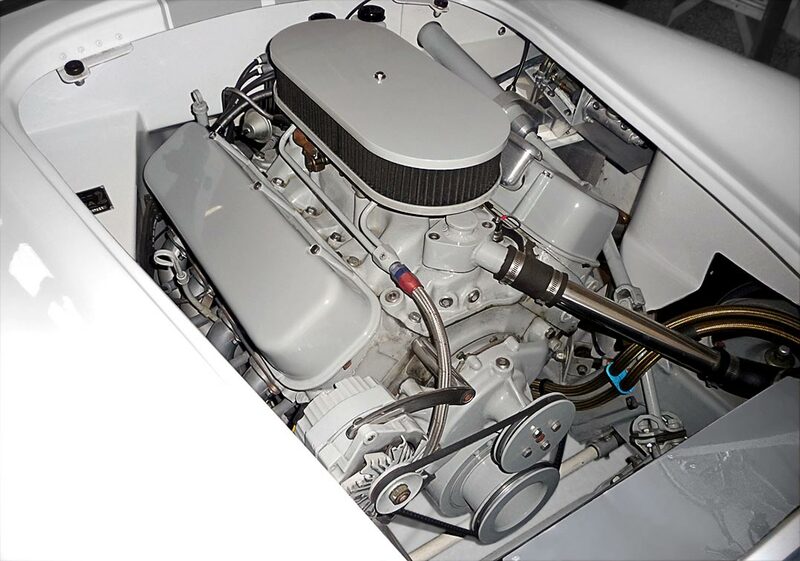 468 cid Chevy-big block V8 [delivers a robust & reliable 456 hp/ 484 lbs/ft. torque]. This reliable and rock-solid engine generates all that torque from 4,400 rpm all the way to 5,900 rpm, so it’ll plant you into the seat and keep you there through the gears. And with the appropriately menacing timbre of a big-block powerplant. All this power beneath the pedal yet with easy streetability when you’re cruising around town. The engine was professionally built. 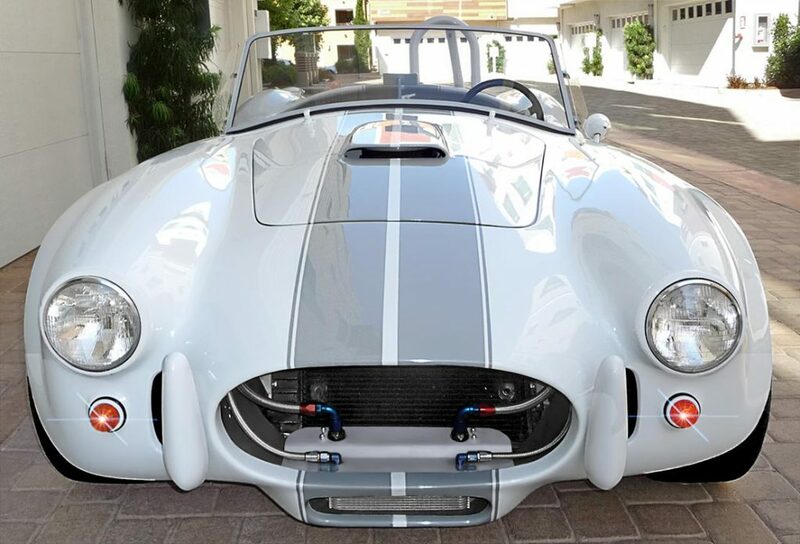 All fuel lines under the hood are SS (stainless steel) braided. 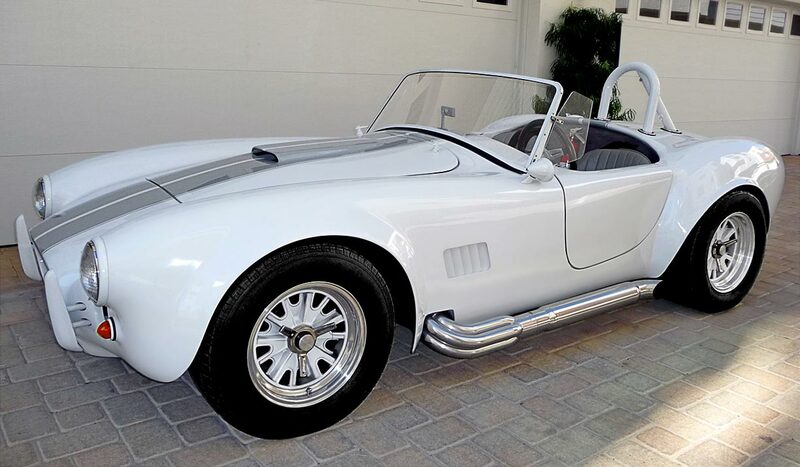 It also boasts an MSD ignition ensemble, Holley double-pumper carburetor, SS coolant tank, custom spark plug wires, custom engine wiring harness and exhaust, all for a tidy fit. Upgrades: ceramic-coated headers & sidepipes (that ceramic coating resists discoloring and serves to further reduce underhood temperatures). ‘Built’ GM ‘Turbo 400’ automatic transmission with 3.0:1-ratio final gearing. 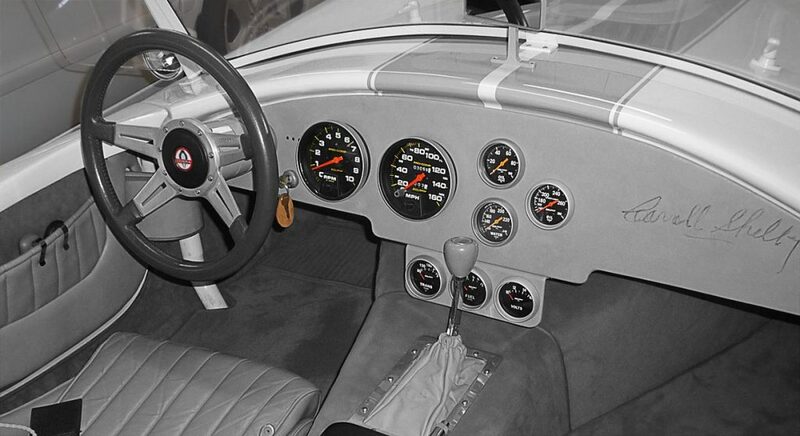 Rich grey leather/vinyl upholstery with premium gray carpeting, AutoMeter blackfaced electronic gauges including oil and transmission temperature. 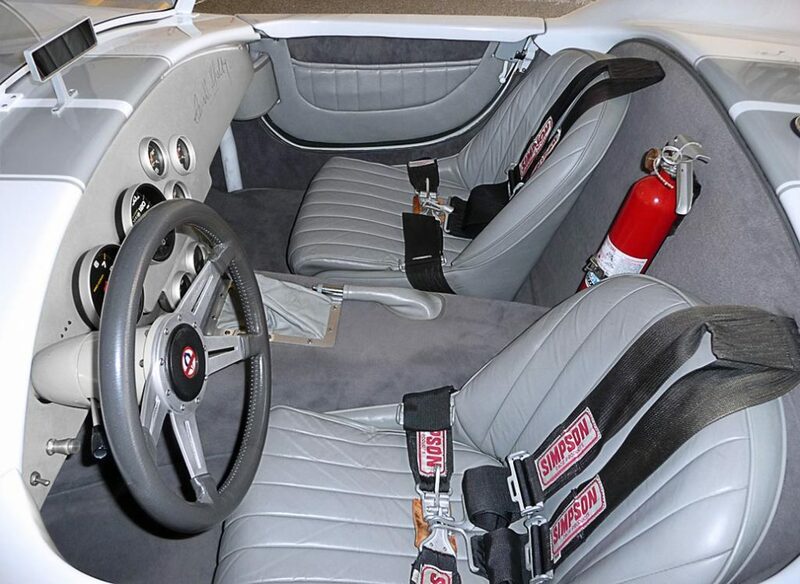 4-point original-style/ aircraft style quick-release Simpson harnesses, grey leather-bound steering wheel, fire extinguisher, and aluminum dash knobs, slide-adjustable driver’s seat. 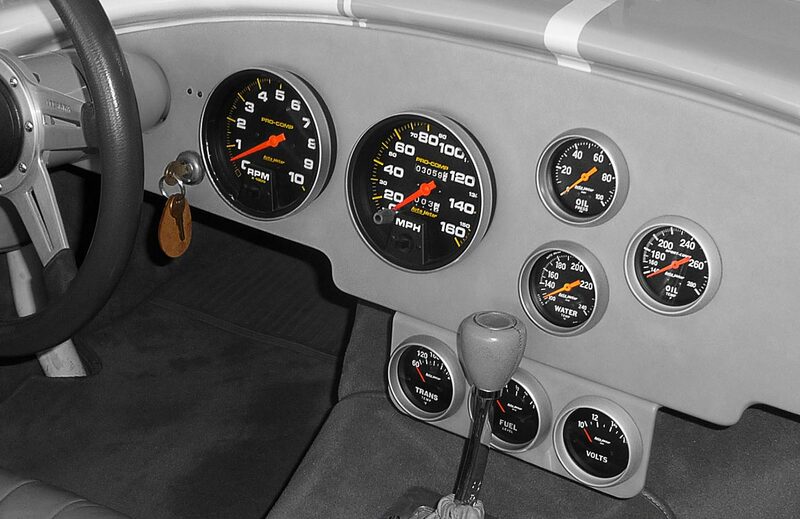 Above: color-to-match option includes rearview mirror (on the driver’s side), bumpers, shifter knob (atop a B&M ‘QuickSilver’ shifter, steering wheel center cap and rollbar. 15″ aluminum wheels with true knockoff wings [shod with 265/50Rx15″ front; 295/50Rx15″ rear rubber]. At only +2,700 lbs curb weight [1,225 kg], it’s extremely nimble and quick, and accelerates like a rocket ship. elicits admiring glances everywhere it goes! 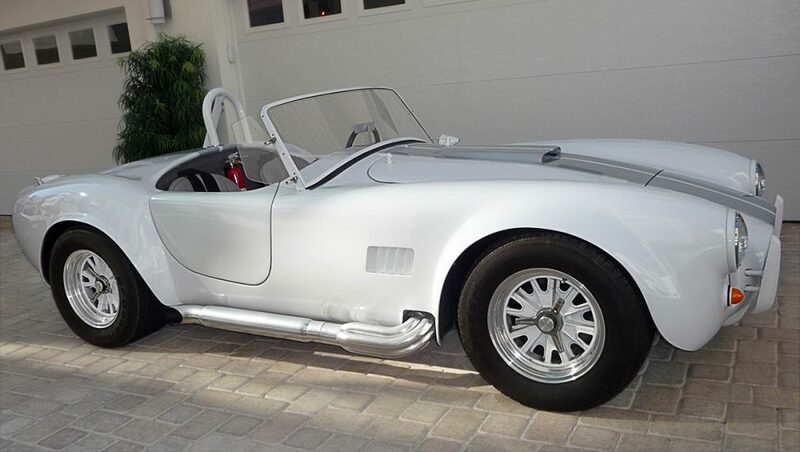 This is a painstakingly handcrafted and finely-constructed motorcar in every respect, poised to provide you with exhilarating driving adventures. You’ll encounter no unpleasant surprises. And as you might conclude from the asking price, I intend to sell it promptly.